After a sabbatical from blogging of six months the start of a New Year is always an extra incentive to get back in the game. I’ve not been totally sat on my backside in that time, I had a Masters dissertation to get over the line and a small boy to see through from one year old to 18 months so mildly productive! 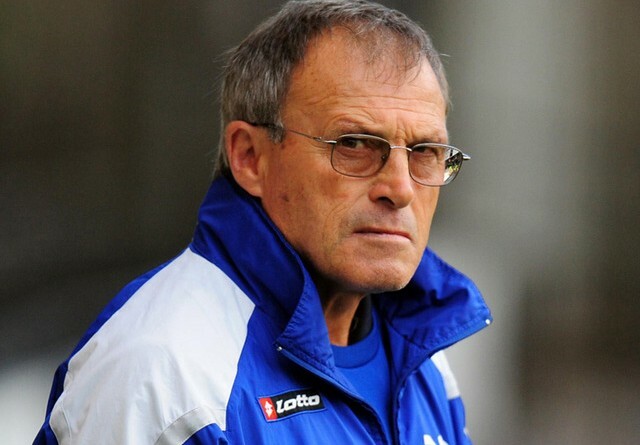 However, what I thought I would start 2016 with is sharing some notes from an interview I had with a coaching legend, Dario Gradi. These are a few of the key quotes I took from this and my thoughts/interpretation of his views. Dario has a track record in player development, a rich history in coaching going back decades and is famous for being at the helm of a Crewe Alexandra group that consistently punched above their weight when producing top footballers. I met Dario in a hotel in the Midlands and he shared some of his coaching views and key people that have influenced him through the years. It was a fascinating couple of hours. Dario talked openly at the start about the guidance he received from his PE teacher, how much he learnt from Dave Sexton about coaching and the mistakes he made at Wimbledon and Crystal Palace. He was very reflective, recognising what went well and what didn’t go so well but crucially took learning from those moments. “Really nice to feel that I’ve helped people” – ultimately, this is what coaching is all about. It is simply helping people. As grassroots coaches this might be helping a kid get better at dribbling or passing or just being a better person and learning to tie their laces. But that is what it’s all about and it is an easy message to forget. “All sessions should flow from one to another, no stopping or starting” – Dario talked about watching coaches spend too long moving cones about and I see exactly the same. With effective planning before the session you can work out how to ensure there is minimal time wasted in moving cones about and setting up different areas or pitches. If you waste 5 minutes a session doing this, multiply that by 30 training sessions a season and all of a sudden you have lost two a half hours of time the kids could be playing and learning and getting better. “Still coaches talk too much. I want to see the players play, not the coaches coach” – this is an all too common problem, coaches thinking the session is about them! However, I would elaborate on Dario’s point and suggest it is about finding the balance here. Of course, the players need some help and guidance, at the right time, if they are struggling and when you think it is appropriate. This can be done in a variety of ways from talking to the whole group to ‘drive-by coaching’ and having a little word to one player as the game is going on, without stopping the whole practice. As a general rule, aim to have the ball rolling for about 70% of the session and waste as little time as possible. “Most important thing coaches can do is make the players want to come back. It has to be enjoyable” – without doubt, this is integral to grassroots coaching, and any level of coaching come to think of it. The players have to fall in love with the game. As a coach, if you are the reason a kid decides to stop playing the game then you have failed, regardless. Fill them with excitement and enthusiasm, fuel a passion for football so burning they can’t wait for the next session. “By 14, teach them to make goals,stop goals and score goals” – the roles of a team really fall into these three areas and players will probably have a career specialising in one of these. However, these are the essential building blocks that players need to learn about as part of a balanced coaching programme. Allow them exposure to all these areas and avoid pigeon-holing them at a particular age because they happen to be bigger or smaller or faster etc. “When you’ve shouted at a player has it helped them or just made you feel better? It’s not showing passion, it’s showing stupidity” – I quite liked the point he was making here and this was part of a big long rant that Dario had. I’m not sure there is ever a need to shout at a kid unless they are in danger and by doing that it makes them avoid it, like a kid running into a road to collect a ball. If a player has made a mistake, it takes their brain less then half a second to work that out and associate a feeling with it. By the time you see this, make sense of it then shout at the player, largely they already know! By shouting at them, this sometimes doesn’t really have a lot of impact and Dario was very clear about coaches talking to kids, rather than shouting at them. “I had to be careful what I said to Nick Powell when I was coaching him as his ideas were often better than mine!” – this shows real humility from Dario as well as an understanding that he doesn’t have all the answers. I have done many a session where the players ideas on progressing or developing the practices were better than mine and it’s those coaches with an air of arrogance that feel it is about them that are naive enough not to listen. There were so many take away messages from Dario that it could be a whole year of blog posts and maybe later in the year I will do another. As coaches, and Dario is certainly an expert coach, consider some of the points he has made and reflect on your own coaching through 2016 and think “am i following the Dario principles?” If you are then you are doing a great job, as Dario would say. awesome teaser for the full interview, this? I really dig this kind of in depth look at youth development. I'm excited to learn from people in other football development cultures. We should have this kind of communication in Belgium too. Keep up that new NY incentive alive, please.